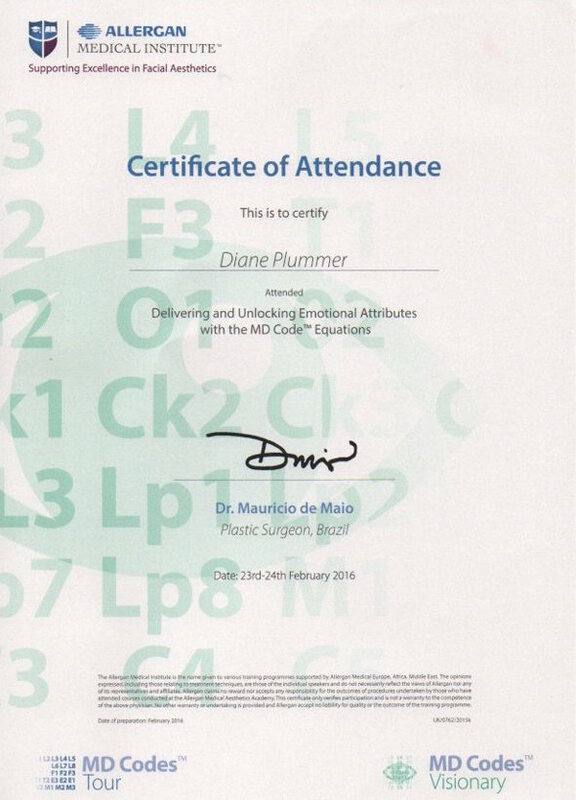 In 2016 I was privileged to be one of the few medical aesthetic practitioners to be invited back to the Allergan Medical Institute to attend the advanced MD code equations Master Class. Introduced in 2015 by world renowned Brazillian Plastic Surgeon Dr Mauricio de Maio (the pioneer of the 8 point lift). Dr Mauricio de Maio's MD Codes™ are a series of equated injections points for dermal fillers which are proven to lift, rejuvenate and enhance, to deliver natural looking results tailored to each individual. Facial aesthetics has evolved over recent years and the MD codes allow us to treat the underlying cause of aging and sagging - volume loss. What areas can be treated using Juvederm dermal fillers? Using a series of codes including the 8 point lift we can treat areas such as the temples, brows, cheeks, chin, jawline, lips and under the eye. What Dermal Fillers do we use at Revive Aesthetics? Juvederm Voluma is a long lasting dermal filler used to lift and restore volume in the cheeks and temples. Voluma can also be used to reshape the chin and jaw area and help to lift sagging jowls. Juvederm Volift is a versatile dermal filler which can used to treat nasolabial lines, enhance and define lips, elevate the brow and treat forehead lines. Volift can also be used with the other vycross products to lift the whole face. Juvederm Vobella is a fine dermal filler that is specially developed not to hold water. It is therefore used to treat lips and lips lines giving a very natural look. Vobella is also used to revitalize the eye area and treat the hollow under the eyes (tear troughs). Beyond my nursing diploma, Bsc Hons degree and over twenty years nursing experience (the last 10 years in facial aesthetics) I am continuously developing and have undergone extensive training in facial aesthetics. I regularly attend advanced training in botox and dermal fillers to ensure I stay at the forefront of my field. The MD code training has enabled me to offer clients a holistic assessment and treatment plan using the juvederm range of advanced dermal fillers and injection techniques.